Welcome to Sacred Heart Parish in East Boston. Grace to you and peace from God our Father and the Lord Jesus Christ. I am grateful that God’s providence has brought you here to our parish’s website. My hope is that in coming here, you will find what you need to help you take the next step towards God. 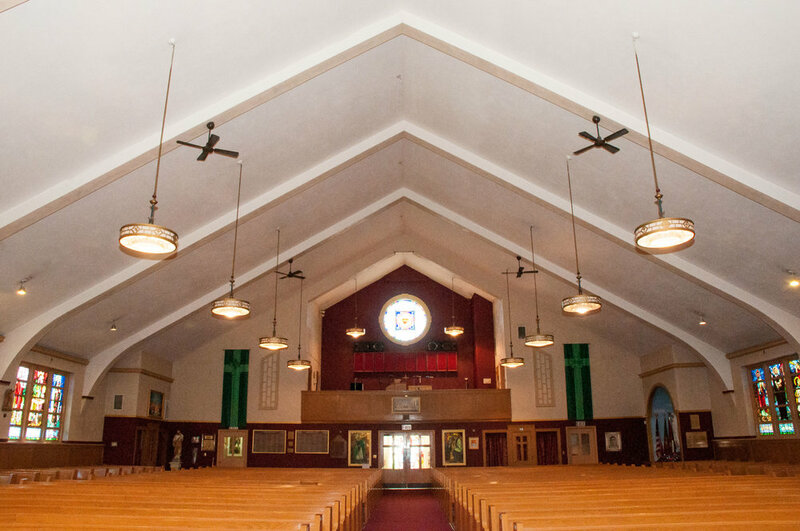 To all of you who have visited our parish on Brooks St. and Paris St. we look forward to your return and to those who have not yet visited us, we look forward to your visit. We are one of the closest churches to the airport and we have ample space for parking during liturgical services. Our parish was founded in East Boston in 1873 and since then we have been carrying out the mission that has been given to the Church: to unite all people in Christ. Our parish life begins with our faithful celebration of and participation in the Sacraments. It is from the Sacraments that we are given the strength to bring Christ’s salvific love to others in our daily lives. There is much for which we have to be thankful to God. I am grateful to the Lord for all those who helped this parish to this day. When I think about it, I am amazed at how many people have come through this parish and how many lives have been changed through God’s goodness and people’s cooperation with His grace. My hope is that in 100 years, the future priest of this parish is saying the same thing about how we are living the faith today. Recognizing the large degree to which technology shapes the daily life of people, this site is meant to assist you in coming to know us, and please-God, to become a part of our mission. If you are a visitor, welcome. Please contact us if there is additional information you need. If you are interested in the Catholic faith and interested in learning more about the Faith, we look forward to hearing from you. If you are Catholic and have not been practicing it, hopefully you will see this page as an invitation to join us as we all seek to grow in our identity as sons and daughters of God. If you are a new resident to the area, welcome to your spiritual home. Whether you've been here your entire life or are new to the Parish, I invite you to register through our Online Registration page. I look forward to seeing you at liturgies and events in our Parish.